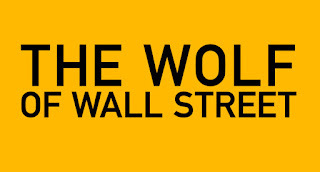 As a huge Martin Scorsese fan, I’ve seen 2013’s The Wolf of Wall Street around half a dozen times. It’s a well made, smart and incredibly well acted film that manages to walk a very fine line. While it sweeps the viewer along for the glitzy and dizzying ride that is Jordan Belfort’s excessive lifestyle at the height of his success, it takes great pains never to glamorize this incarnation of Belfort or establish him as an aspirational figure. It’s worrying then, when I talk to so many people who appear to have learned all the wrong lessons from the film. I’ve heard all kinds of distressing comments from admiration of Belfort’s conquests of numerous beautiful women to lamentations that quaaludes no longer exist. Belfort wrote the book upon his release from prison not only as a cautionary tale on the dangers of greed and avarice but as a way of exorcizing his own personal demons and beginning a path to moral redemption. Jordan Belfort made a lot… A lot of money, and he spent it just about as fast as he could make it. While he was (and is) an incredibly resourceful man, he was far from what you might call responsible, trusting in his ability to make more money rather than saving or putting provisions in place for the future. As a result he found himself going from riches to rags and back again. While it makes for an exciting movie and book, it’s a pretty terrifying way to live. When your business or your career face times of prosperity, save or invest as much as you are able. By all means spend money to enjoy your life but prepare for the possibility that the sun may not shine so brightly tomorrow. Despite owning luxury houses and a yacht that a Marine Engineering specialist could retire on, Belfort could never get enough. It’s this insatiable greed that came to be his downfall. Setting personal, professional and financial goals and constantly striving for more from yourself are admirable pursuits, but it’s equally important to know when you have enough and to take a step back and appreciate what you have. All the money in the world means little if we alienate the people who mean the most to us, which is exactly what Belfort did. In his own words, “You can’t take advantage of people and break all the rules without paying the price”. It’s important to appreciate those around you and treat them with respect, from your colleagues, your team, your shareholders, your employees, your partner, your family and your customers. The end of the movie depicts Belfort as a troubled and broken man who lost everything. Fortunately, it seems like Belfort learned all the right lessons from his incarceration in prison. Now he helps people to realize their personal, business and financial goals responsibly and ethically. Let’s hope that you can learn something from him too!